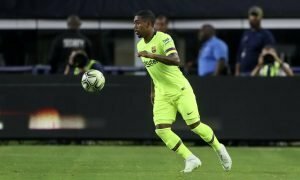 Arsenal boss asks board to secure spectacular signing | The Transfer Tavern | Where football transfer rumours fly or die! Arsenal fans in the Transfer Tavern are pleasantly surprised to see Arsene Wenger making use of the Gunners hierarchy, as they search for valuable first-team additions in January. Fichajes state that the long-serving French manager has asked for the board’s assistance in the chase for Everton defender John Stones, who is likely to cost upwards of £30m. 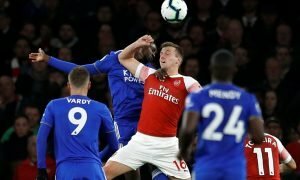 The 21-year-old is a prime target for Chelsea, who saw numerous bids rejected in the summer, but Arsenal want to beat their London rivals to his signature as Wenger eyes alternatives to ageing defensive pair Per Mertesacker and Laurent Koscielny. Reportedly valued by Everton at around £45m, Stones’ signature would likely exceed Wenger’s transfer budget and the board would have to make modifications in order for the signing of the England international to be completed. Arsenal’s defensive options are relatively slim in the centre, with Gabriel Paulista the only recognised senior central-defender to step-into the first-team as Calum Chambers is set to be utilised in a defensive-midfield role. Fans in the bar believe the Gunners should go all-out to lure the 21-year-old to the Emirates, believing he can become a superstar for their squad. Arsenal fans, how much would you pay for John Stones? Would he be a guaranteed starter? Let us know in the comments below!